I always thought that quiche was a dish invented by the French but apparently not. The Germans have this claim to fame with their kuchen, meaning cake. A savory egg custard tart which they used brioche rather than the traditional short pastry. No matter really, as this recipe has it’s origin from a twenty year old Australian Womens Weekly cookbook. Before the low fat madness hit we could eat cream and cheese without fear. Fast forward over those two decades when saturated fat was demonised and my favourite quiche was only made occasionally and then eaten with guilt. Well, that has changed now, hasn’t it? Now the big issue is the pastry and all that wheaty flour. 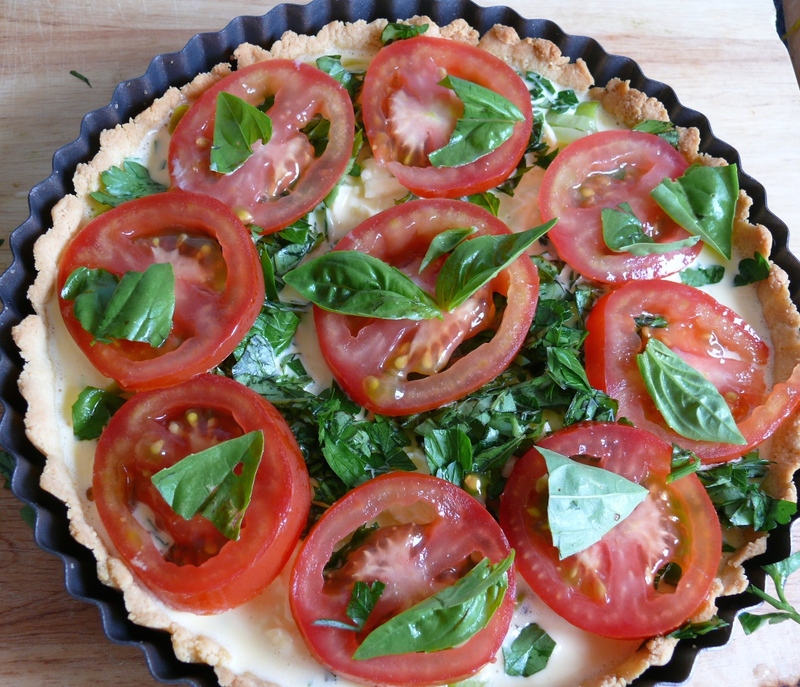 But with thanks to Everyday Mavens paleo pastry and the addition of oregano a perfect tart based was found. 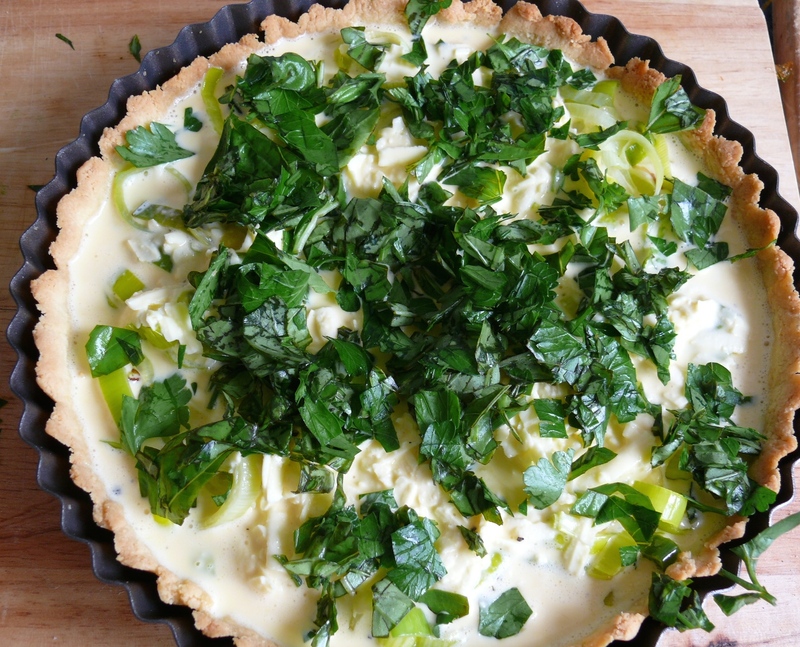 So if you tolerate dairy then this lovely quiche is perfectly yummy eaten hot or cold. Without grains, without gluten and without guilt! I’m sharing this recipe on Gluten Free Wednesdays and Gluten Free Fridays, two great recipe roundups. 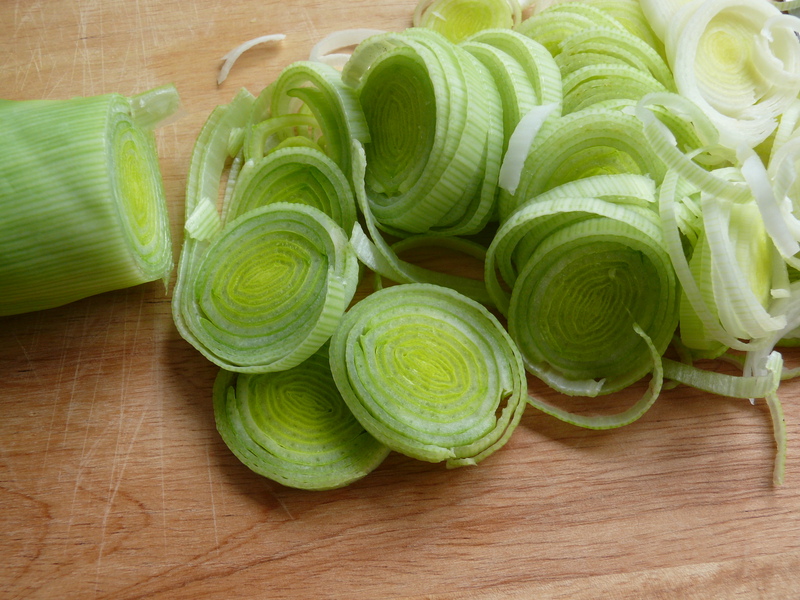 If you love this then make sure you sign-up so you receive each new recipe hot off the press! 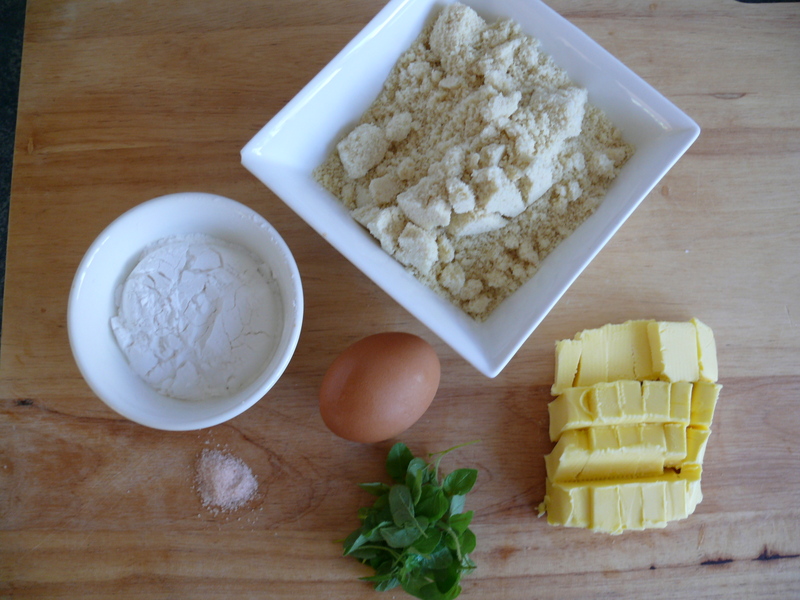 Get your pastry ingredients ready to go. 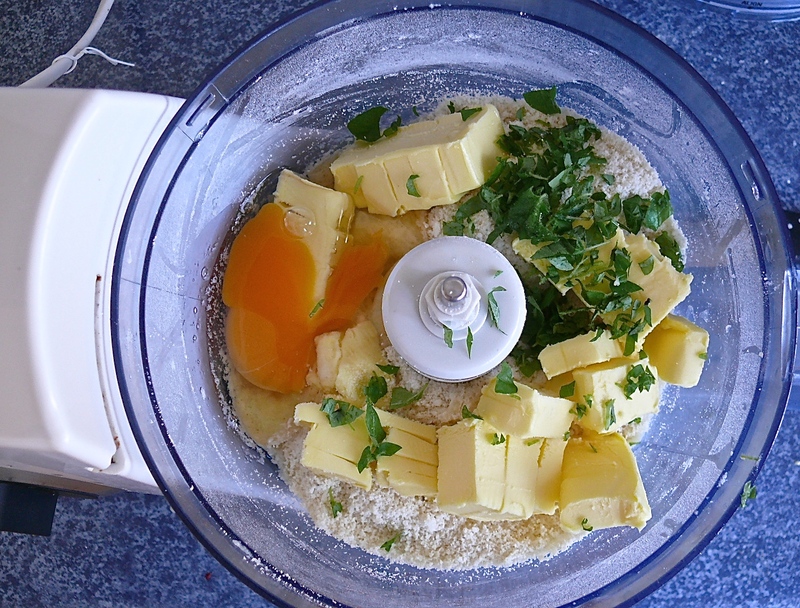 Add the rest of the ingredients and mix until combined. 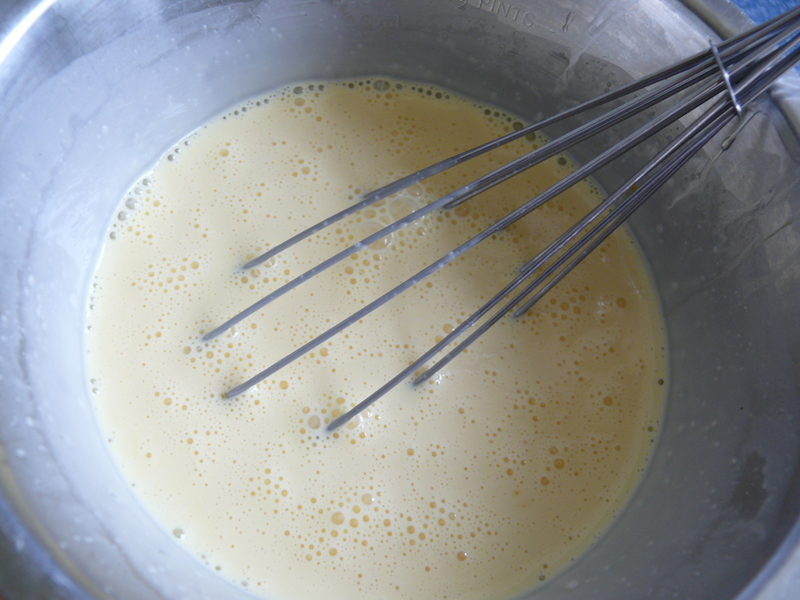 Depending on your kitchen temperature the mix will go into a ball or a thick paste. 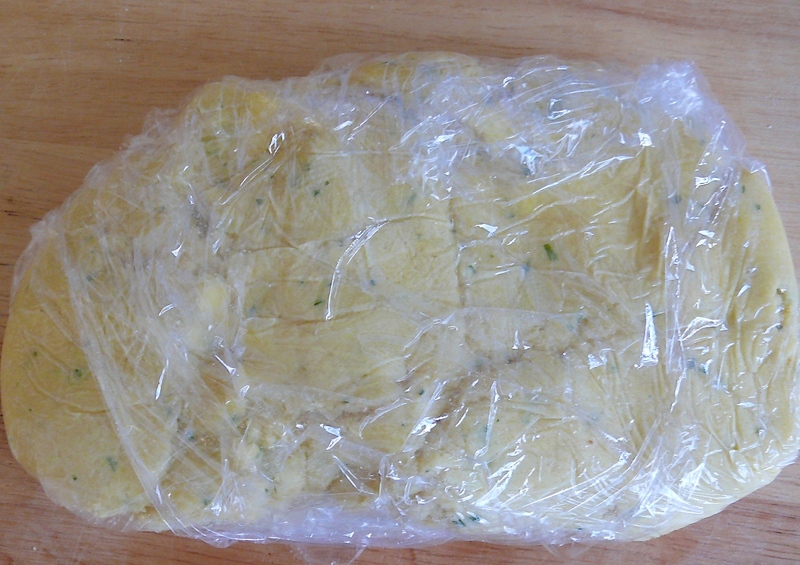 Wrap into cling film and place in the fridge for at least 30 minutes. 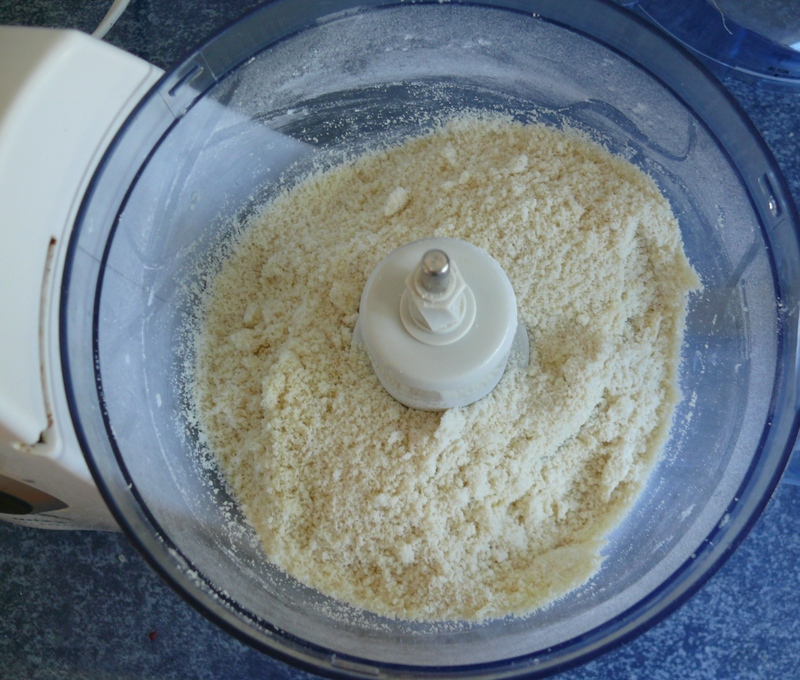 Using your fingers press pastry into a the dish and up the sides. Cook for about 10 minutes or until the pastry is slightly coloured. Cool then fill with the quiche filling. 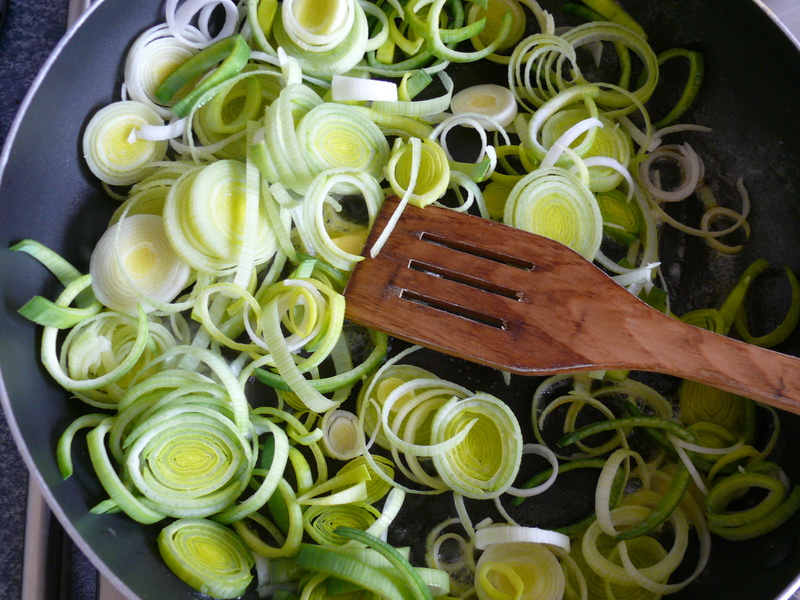 Melt butter in a pan and fry the leeks gently until tender, cool slightly. 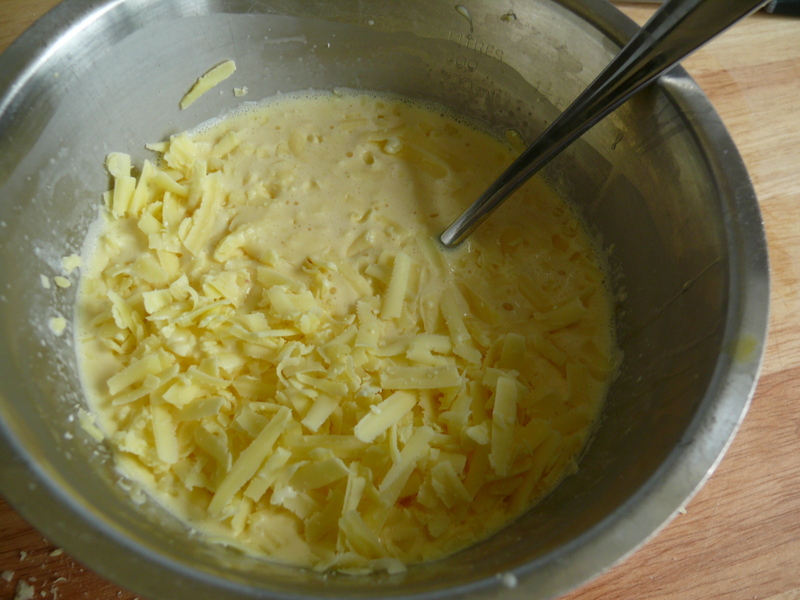 Stir in the cheese and leek. Pour into cooled cooked pastry case. Sprinkle this with the parsley and basil. Arrange the sliced tomatoes on top. Bake for 35 minutes or until firm on top. Cool for at least 10 minutes to allow to set. Shelley, thank you for asking. 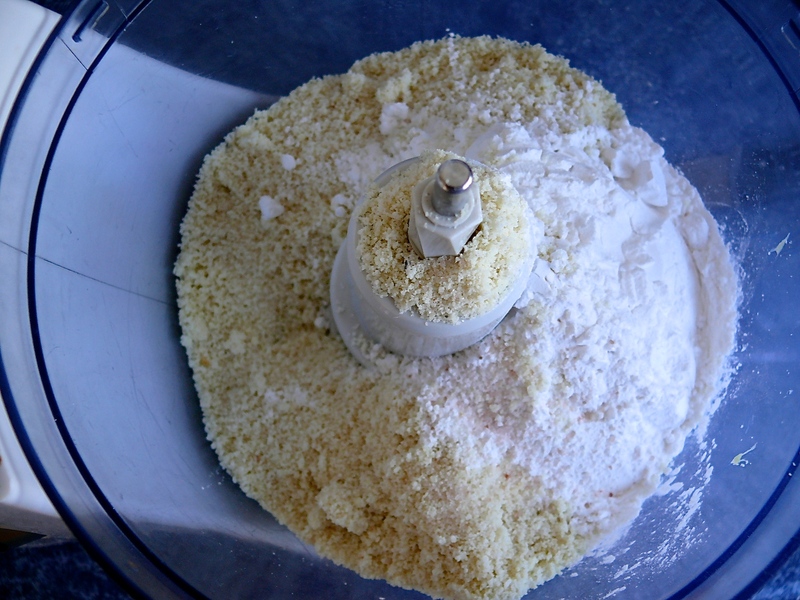 Tapioca flour comes from the root of the yukka or cassava plant and is a starchy flour. Mark Sisson describes it as a “safe starch”, but reminds us that it is a starch and while it is very low in anti-nutrients it is also low in nutrients so should not be a major part of your diet. 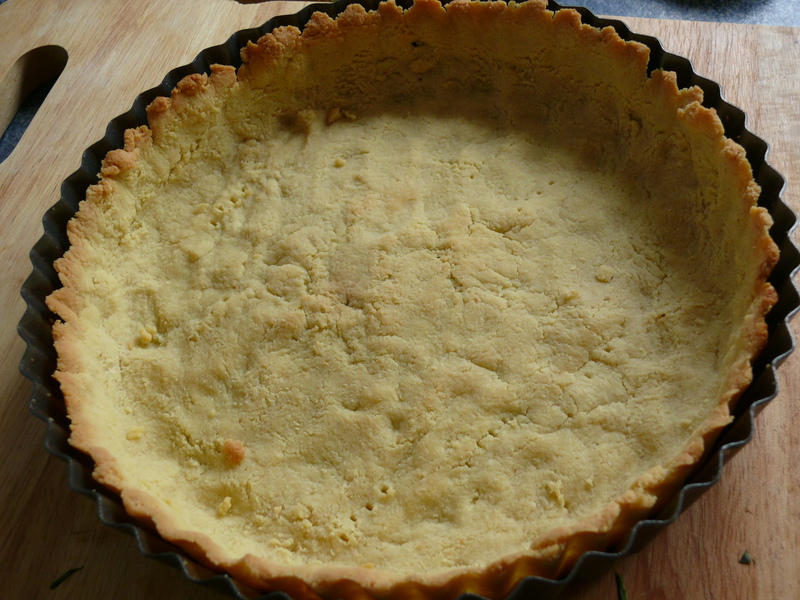 But as part of the base for a quiche it helps add a bit of lightness to the “pastry”. Hope this answers your question? Looks amazing I’m going to try it today!